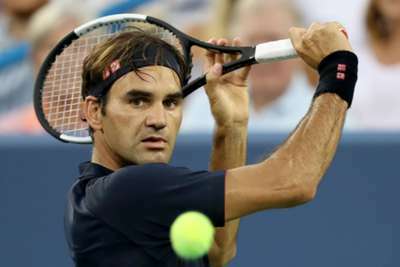 Roger Federer is eagerly awaiting the start of the US Open after defeat to Novak Djokovic in the Cincinnati Masters final on Sunday. In the pair's first meeting for two and a half years, Djokovic prevailed 6-4 6-4 to complete the 'Career Golden Masters' and become the first man to win all nine ATP 1000 tournaments. Seven-time Cincinnati champion Federer beat the Serbian in the final on three of those occasions but was a magnanimous loser in conceding the better man won this time around. The Swiss will take a break before heading to the last major of the year at Flushing Meadows, where he triumphed in five successive years between 2004 and 2008. "I've just got to come up with a lot of energy, and then hopefully I also have a chance after 10 years to do something special again at the Open," Federer said. "I still think this US Open draw, as well, is going to be quite entertaining, and I can't wait for the US Open to come around. "I don't even want to look for reasons why it happened. I just think it did. Novak totally deserved to win. This was not good enough. It's okay. Good week, but I'm happy it's over and I need to rest. So it's all good." The 20-time major champion was content to focus on Djokovic's record-breaking achievement, rather than his own failings in Sunday's contest. "He's a great champion and this is what this should be about, this press conference, not about me missing second-serve returns. It's about him making history," Federer said. "We can go into whatever points you want, but I think that's what the headline should be about. This is an amazing accomplishment, and I hope he's extremely proud and extremely happy about this moment. 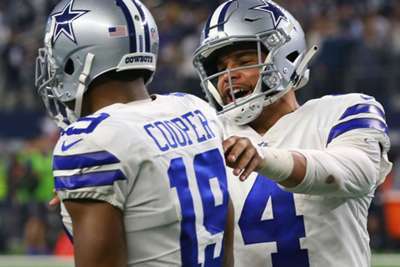 "All these records that a player creates, at the end you're going to all judge it all together, bundle it up and say, 'Okay, what was the coolest thing you ever did?' This might be it for Novak besides winning all the slams and all the other things he's done already. "I think it's extremely difficult to win a Masters 1000. These tournaments don't come easy. You saw my performance today. It's just a long week. It's tough, gruelling. The best players are playing. "You play against tough guys early on in the draw, so you don't have much time to find your rhythm and actually almost work on your game throughout the week. He's done that maybe better than anybody, so it's a great credit to him. I think it's an amazing accomplishment."